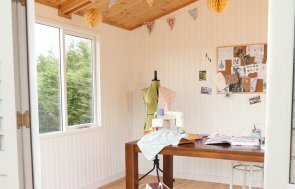 This stunning Burnham Studio was installed as an arts and crafts studio and is part of our wider range of Garden Studios. 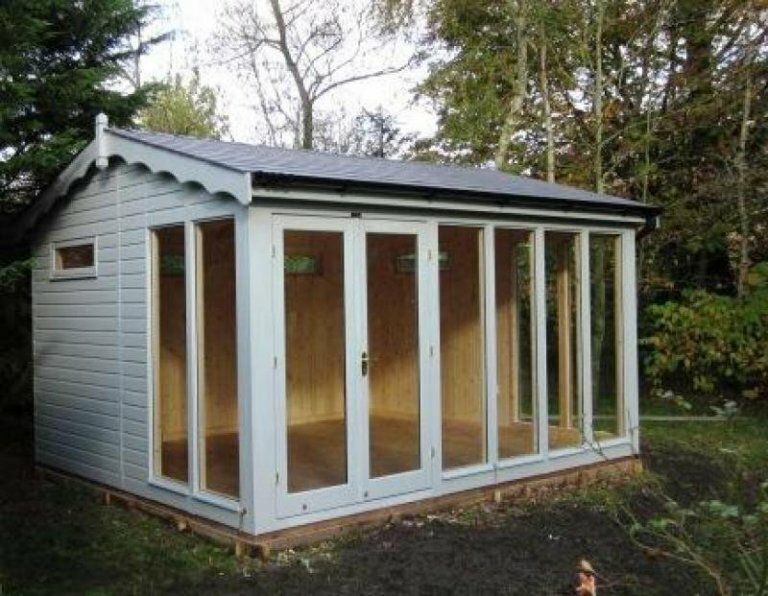 Each of our buildings is hand-built to order and includes free delivery and installation as part of our complete end to end service. The exterior shiplap cladding was finished in Valtti paint, together with grey slate-effect composite roof tiles. 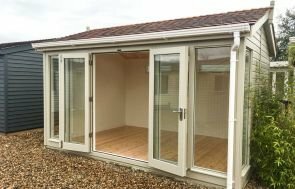 Our show centre, within Burford Garden Company is located in Burford, Oxfordshire and has in excess of 25 different size and style buildings on display for you to view. Why not plan a visit this weekend and have a chat to our friendly team there. Alternatively, if you would like to discuss the options for your own building, please do not hesitate to request a callback, contact us or call us on 01760 444229 and one of our team will be able to discuss your requirements in greater depth.